For very young couples, this is a great idea for a gift basket. The "Home Starter Kit" can include a variety of items for first time homeowners (or young couples moving into their first home). 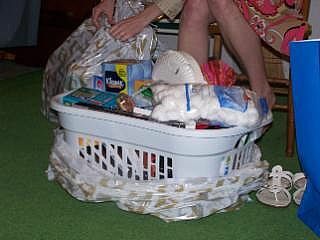 These items (listed below) can be placed in a laundry basket, which is also a great/practical gift. 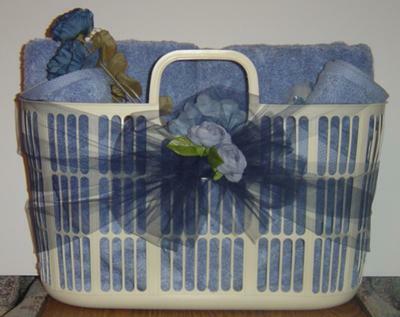 The entire basket can be wrapped in a gift bag and tied with a large bow or curling ribbon. 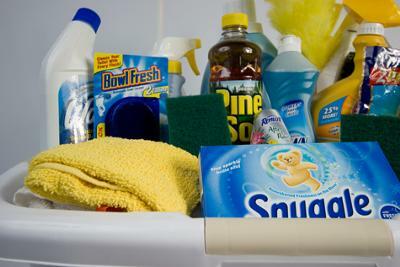 Items for basket can include: extension cords, power outlet strips, cleaning supplies (such as Windex, toilet cleaners, tub/shower cleaner, sponges, oven cleaner, etc. ), hangers, pens, notepads, refrigerator magnets, address book, candles, photo frames, photo albums, markers, Scotch tape, duct tape, tape measure, oven mitt, spatulas, pots/pans, bake ware, calender, coasters, deck of cards, flashlight with batteries, batteries (assorted sizes), First Aid Kit, bath towels, laundry soap, shower curtain, dishes, coffee maker/coffee mugs, cookbooks, Crock pot, and any other useful household item.